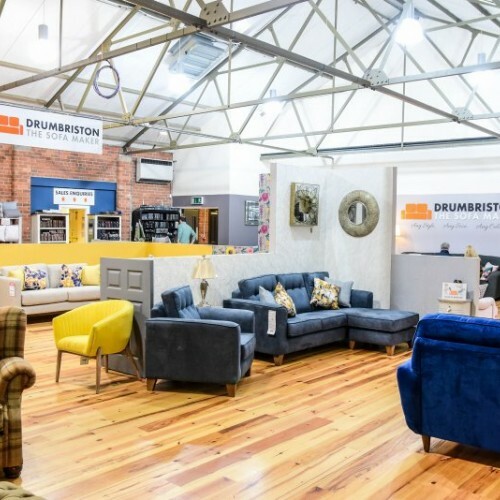 Drumbriston Furniture have just opened up their brand new showroom at the Linen Green. 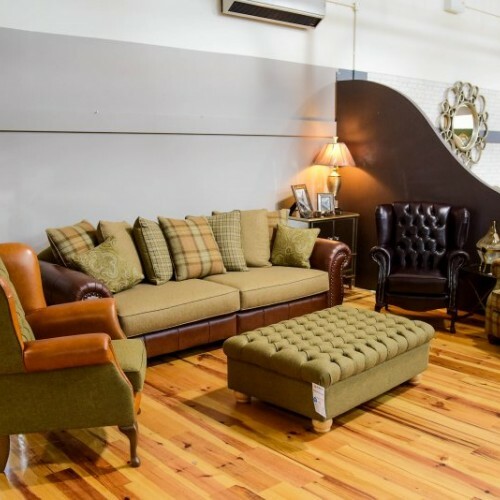 Their expansive 3800sq ft. showroom, situated under the Loft Cafe, displays every style of sofa you could wish for as well as a beautiful range of contemporary furniture. 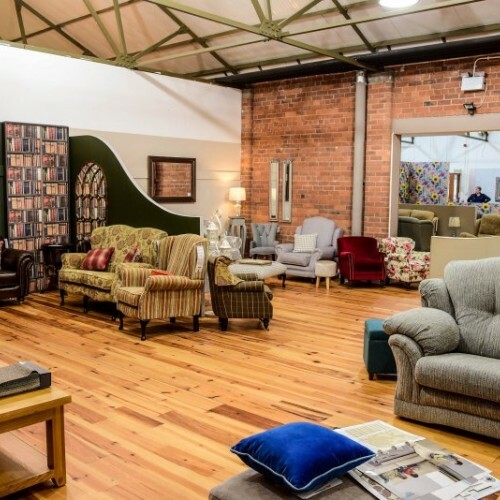 Started by two brothers, Sean and Kevin Treanor, Drumbriston furniture have been producing top quality upholstered sofas & chairs since 1980. 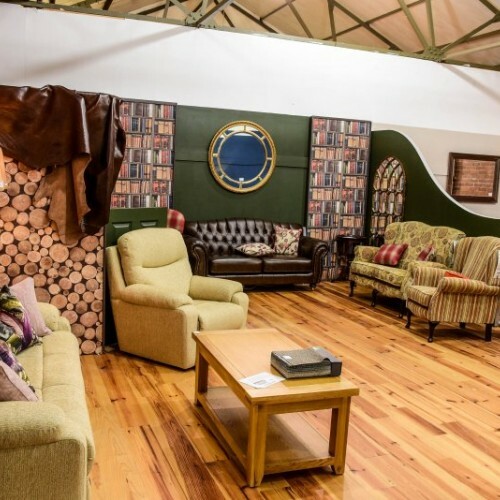 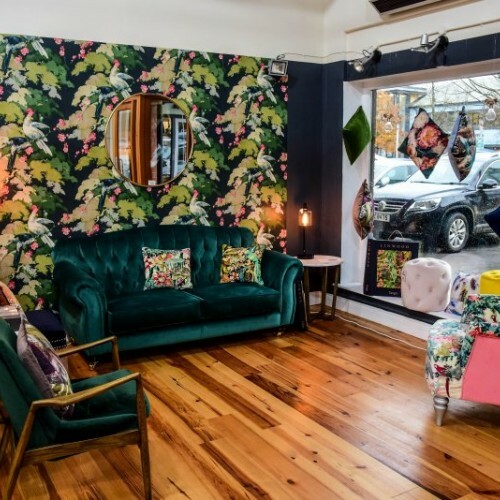 The Company has two showrooms in Monaghan as well as their new store at the Linen Green. 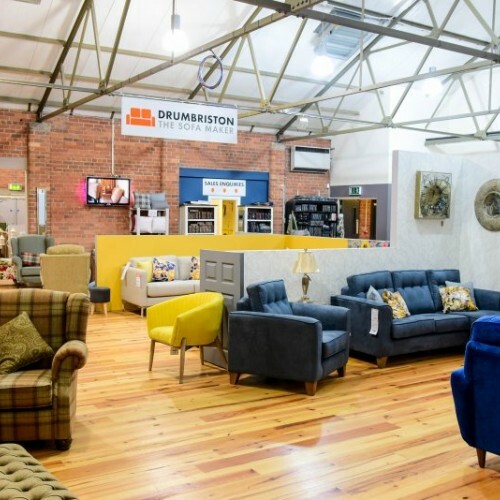 Drumbriston Furniture make comfortable, stylish quality sofas that will last for years to come. 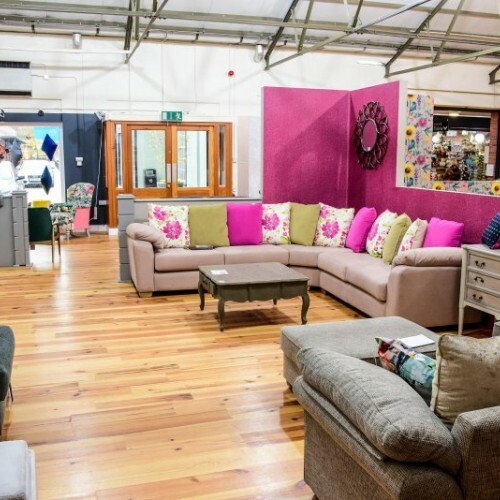 They control the manufacturing process from start to finish at our factory which allows them to customise our sofas to suit your needs. 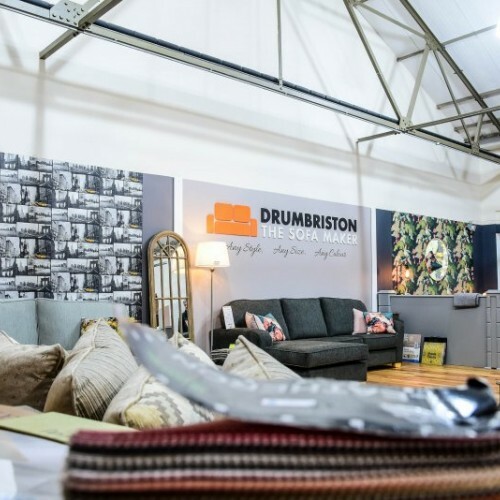 All Drumbriston sofas can be made to measure. 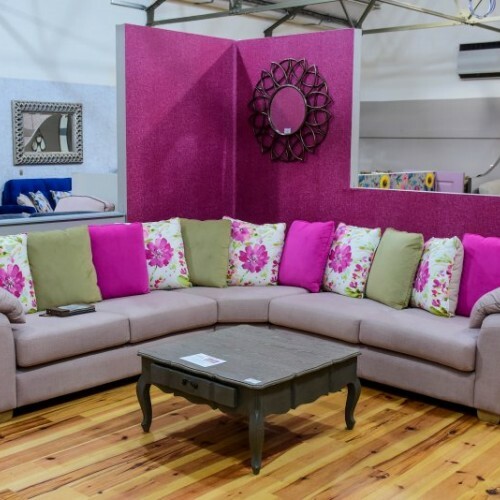 Customers have the choice of over 1000 fabrics, leg colour & seat foam. 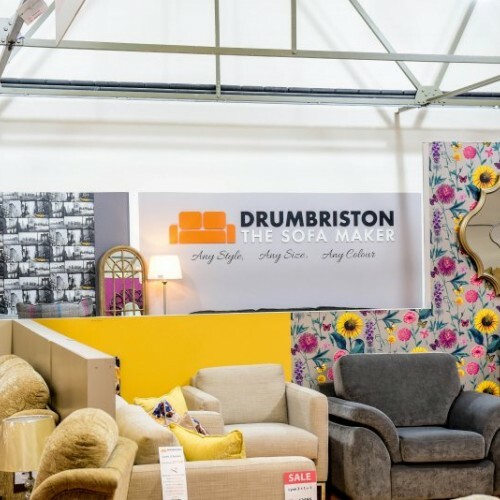 All Drumbriston sofas, chairs & corner sofas come with a 25 year frame guarantee. 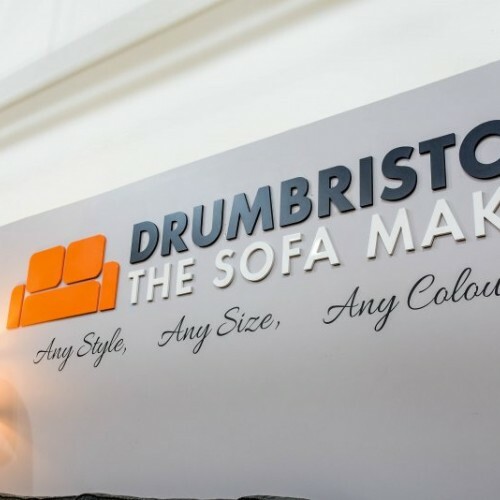 Drumbriston Sofa Frames are made from top quality beech that results in a quality product. 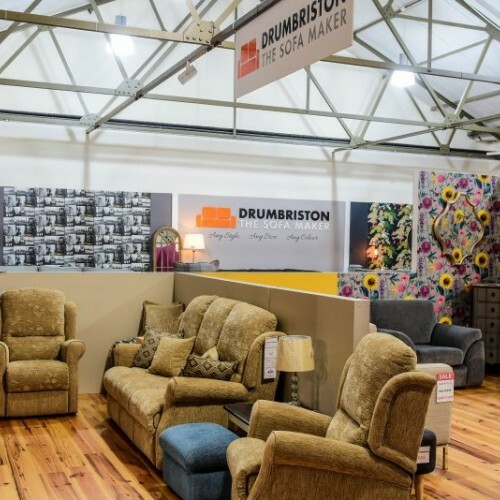 Over the years Drumbriston have manufactured tens of thousands of sofas and are proud to have built up a strong customer base throughout Ireland. 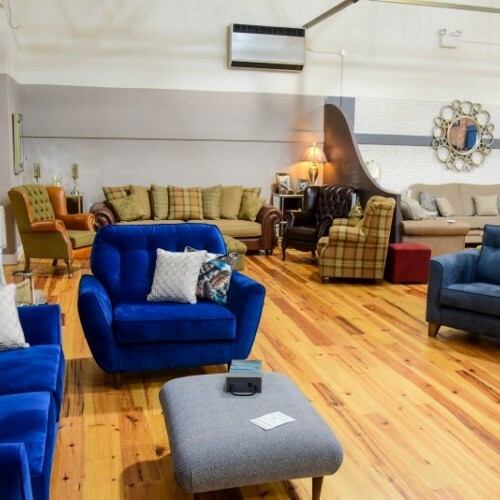 Having always employed local, highly skilled craftsmen and women (some of whom have been with them nearly 20 years for the production of their sofas, Drumbriston's sofas are all about hand crafted quality furniture which is made to last. 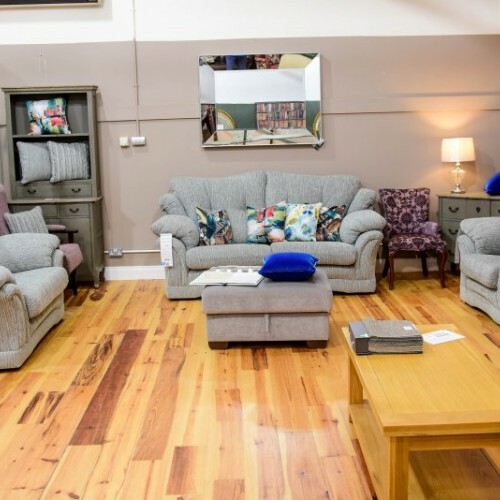 If you need one of our sofas made 10, 55 or 140 cm longer we’ll make it to your specification. 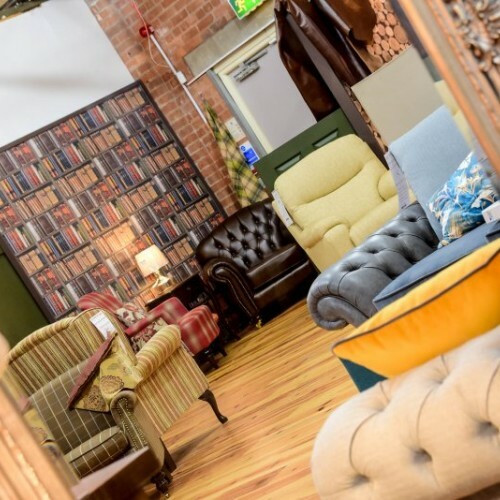 We can also raise the couch higher off the ground and raise the back for more support if needed. 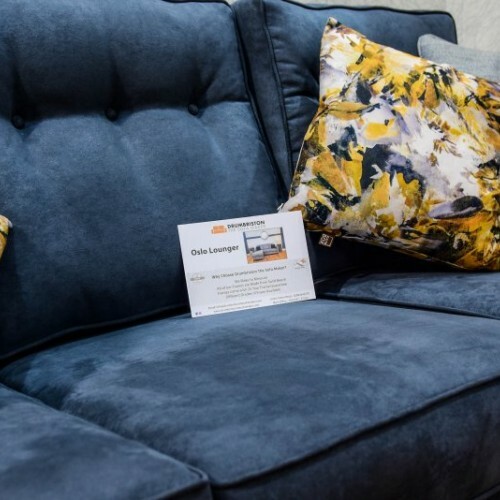 We can alter the depth of the couch. 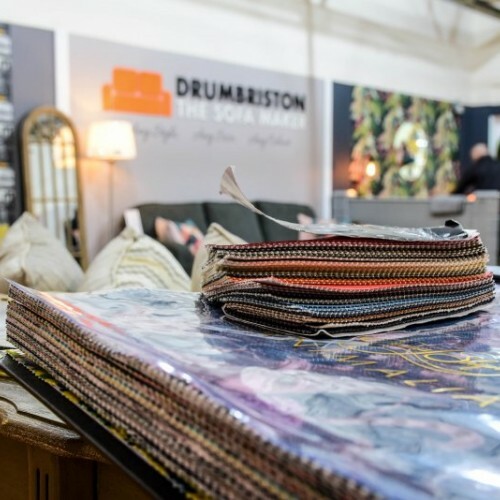 We have over 175 fabric sample books for you to choose from. 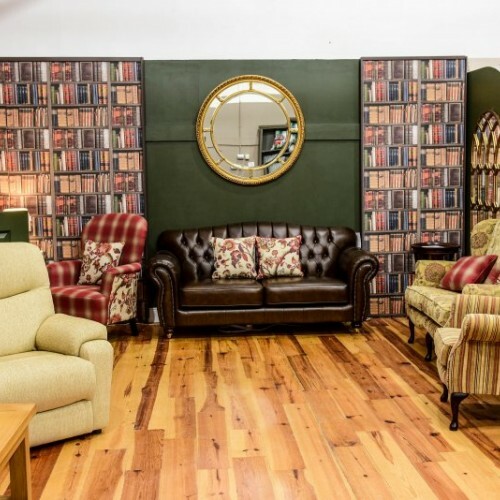 All our wooden feet and legs are available in Walnut, Mahogany, Oak, Natural, Black or Cream.